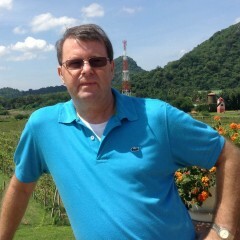 My name is Jerry and I was borne in 1955 in good old The Netherlands, I have been living in Thailand since 2003. There I married the love of my life and we have two sons. I have enjoyed a professional career of well over 36 years with multinational industrial companies in commercial/marketing and sales and customer support roles. My last employment contract was completed by the end of 2014, but I would like to remain active for at least the next ten years. However, I found it increasingly difficult to get new assignments. Moreover, the Thailand market for mature workers (and its surrounding countries except Singapore) has not yet developed. Then I was fortunate enough to come across WA and it looks like an excellent opportunity for keeping active, building my own business, stay in contact with a lot of other people (as I was used to) and of course make money in the process. I am pleased to join this community and look forward to interacting with all of you. I will certainly share my experience with all of you wherever I can. I have meanwhile built my own website for wine lovers in general and Chardonnay fans in particular. Please feel free to leave a comment on the site. Thanks for following me! I'm glad to have you in my network & I'm excited to start reading your posts. I'm sure you have plenty of knowledge to offer from your time & experience. I'm just about 1 week in & have accomplished more than I had expected. It's going well & I'm excited for things to come. Thanks Angela, I think you have the right attitude. The best thing to do is to follow the training to the letter, perform the actions requested and ask questions whenever you get stuck. I will be glad to help you with my experience here where I can. I have some time in Thailand but mostly in Pattaya but now I but I am to old for that now, I am hoping to find someone to answer a few question about Chaing Mai but I am learning a lot on you tube but i am wonder how long can a American stay on a tourist visa or we nead one ? The validity of a tourist visa ranges from 3 to 6 months, depending on the number of entries you make across the land border, or from the airport. If you arrive on Thailand through an international airport, you will be stamped a 30 or 60-day permission of stay depending whether your country made a bilateral agreement on visa exemption with Thailand. I am planning to winter in Chaing Mai and maybe find some adventurist seniors that would like to see other parts of the world. because when you are a senior you may not be to. I fully agree with you that when you want to do or have something and you can, you do not postpone until later or until after retirement, because there might not be such a thing. Yes, WA can absolutely help you in this. Good luck here! I was perturbed by this comment and really wondered that perhaps I am just so thick, I didn't see the message!! Although really perhaps he just thought he was on one of his websites instead of here with us at WA!!! I do not know what was said, but it was obviously insulting. I know that WA keeps an eye out on those kind of comments. Thanks Carlos, I am following on G+. You rock! Wish you the Best in your marketing venture at WA. Let's move ahead! See you on G+. Cheers, again! Thank you for following me and welcome to the WA community. My G+ is here and wish to connect with you there. Hi Jerry! Thanks for the follow! The Netherlands is on my bucket list!! A good place to be in this time of the year! Hey Jerry, where in Thailand are you located? I live in Banchang, Rayong. Hi Jerry, thank you for the follow. I am also following you. Looking forward to collaborating with you. Thanks Tom, if there is anything I can help you with, please let me know. Hello Jerry, nice to meet you and thanks for the follow back. I wish you success in all you do. Thanks for the following! Looking forward to working with you! Hi Jerry thanks for the follow! Wishing you lots of success! Oh wine! Thank you for the follow! Definitely look forward to checking out your website for wine lovers! Sure, be my guest and let me know when you have any questions. Hi Jerry - thanks for following me back. Hi Jerry, thanks for adding me to your network, I'm following you back. Yes, it is awesome being here and I will continue doing so! Thanks a lot. Wishing you loads of success. Hello Suntrupth, it is nice meeting you here. I hope you will achieve what you wish for. Hi Cath, nice meeting you. You are going to bed, it is 10.30 Monday morning here in Thailand. I was glad to be of help. Hi Jerry, would love to get some feedback from you. As you can see I'm pretty new, seems like we have similar backgrounds and interest, would like to get your take on things. Drew, this is the best support program you can have for building a successful internet business. Not only do they hand you all the tools necessary, questions within this forum are replied to within hours and sooner. If you really commit yourself to this system, follow all the training and execute the actions requested, you cannot fail here. Do not expect financial success to happen overnight, do expect hard work and effort in order to achieve your goals. HI Jerry and thanks for following me. It's nice to meet you and I'm glad to be part of your network. Stay well and have a great evening. Thanks Dan, I have been here for three years and they have been amazing. By the way, here in Thailand it is almost 11 o'clock in the morning on a Wednesday. It’s great to connect with you here at WA. And the same to you Rick. I hope you achieve your goals and go hiking in the mountains. Yes, I am doing fine. Never been to Chiangmai yet. Live in Ban Chang, Rayong. 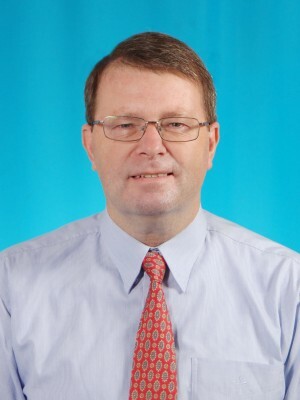 Hi Georg and thanks for the follow. Thanks for following. All the best. Thank you for the follow, Jerry. Hi Jerry, thank you for following me back! Wishing you continued success here at WA!! I see you have been doing this wonderful career for 3 years now, any advise for someone 2 weeks in? This is my 3rd time around for an online work from home business. Number one: you have joined the best internet business support program in the world. Number two: the most important thing for you to do right now is to start following all the training, perform the actions required and move forward. Number three: commit yourself, as opposed to saying you will try. Just trying will not get you anywhere. Number four: you will only fail here when you quit! Thanks for your interest in me. It is nice to meet you too and hope we can both move forward here! Thank you for following me and also for the opportunity to be part of your network, all the best. Likewise Alex, nice to meet you and good luck. We are in the right place. Thank you for the follow! Wishing you all the very best with your WA journey! Thank you for the follow Jerry. All the best for you. God bless. Ok Wayne, wish you good luck! I visited your site. If found it to be well organized and interesting. I have a five sites. Visit my personal site raybrannum.com and link to my other sites if you have the desire. I have been a member of WA for three years and find that they are one of the truly honest internet learning sites on the WEB!!! I you don't succeed here it is your own fault!!! Thanks Ray, I will take a look at your site shortly. I have been here for three years too and I fully agree with you. I agree Jerry!! Best success to you in 2018!! Hi Shaun, with dedication and hard work you will go far here. This is an ideal platform to help you further. Do not hesitate to ask questions, as they will be replied to in no time. In reds, which I also drink (occasionally Rose), I frequently drink the Shiraz, preferably from Australia and S-Africa. I appreciate you following me and enjoy your journey with WA. I will also follow you back. You are in the best place to learn online business and build your own websites. Yes, WA is the best place to be if you wish to develop a successful internet business. Hi Jerry, many thanks for the follow, wishing you tonnes of success with all your online ventures. Thanks Johan and I wish you the same. All it needs is hard work and dedication. Thanks very much Jeff. Yes, I may need some advice sometime, as I am not yet there where I want to be. Thanks for offering your help. Let me know if I can support you with anything. Enjoy your journey in WA and thanks for the follow. You're in the right place at the right time. Thanks Craig, I would like to think so. A wine website is a great idea. How is it going? You have been a member for a few years how have things been for you? Slowly moving forward with ups and downs. In the two years I have reached quite a good number of visitors and I do some business. It is now a question of building further, especially adding more content. And the same to you Rich. You have joined a great community here! Hi Siamjerry, thanks for the return follow, if I can be of any help don't hesitate to ask. Thanks Samuel, a happy 2017 to you too. Hi Georg, thanks for the follow back! It is a pleasure to connect with you. Thanks Helen for your comments and quotes. You are right, in US English fourty becomes forty. I have already deleted one of Emerson's quotes and referred visitors to the upper right for images. Welcome and great to have you as a follower! Jerry, I have commented on your chardonnay sayings post. I noticed a couple of things. Now I spell this in the English way but I also checked it out on US English and I believe fourty should be forty. That shouldn’t be a problem if you want to fix it. Also I noticed that you repeated a quote by Ralph Waldo Emerson. I might also suggest you add a few words to your red text at the bottom. I immediately glanced to the right. Then realised the images were at the top. Others might not do this. And after my comments I better follow you so I can keep track of Chardonnay. HI, this is Judy again. Sometime I do get confused. I was thinking Thailand in the first place, but you mentioned Singapore. I wrote you about Levi Strauss, because I thought you would understand why Americans should be involved in the country where they live. I take it that these are American companies where you worked in commercial /marketing and sales. Please pardon my ignorance about this profession. You probably have More that 10 years to go. Look at me, I started a new educational program with WA. It took a long time to learn the argot. I had students from Thailand too, although they were not refugees. Learning culture is so important and I am sure your wife helped you with this. I am talking about language culture. Example: Scene--a car accident and police are talking with a man from Thailand. Police: "Did you see the accident? Man: "No, I did not"
Police: "So, you didn't see the accident? Can get confusing, right. What the man meant was, of course, was "Yes, I agree with that statement. Yes I did not see the accident. I am just chatting here. Means nothing really. Are you homesick for the Netherlands, or do you go there often. You should be a great success here at WA with your websites with all your experiences. Best wishes to you. Hi Judy, I am not in Thailand by accident. I went here the first time when I was 25, then again when I was 27 and a third time with my then wife of two years when I was 33. For reasons I did not know I had the strange feeling that I would be coming back to this country.The same year we divorced, without having children. From 1989, when I was 34, I started to come to the Far East on business regularly, Thailand most of the time, but also Indonesia, Singapore, Malaysia, Taiwan, S-Korea and China. In 2001, whilst staying in Bangkok on business for three months, I met the (Thai) lady of my life and two years later I found a job, so settled in Thailand. To reply to your question, I only go back to the Netherlands to visit my family, but I will not go back there to live. My life is in the Far East, Thailand in particular. As to WA, I am struggling to be successful, but I will be in the end, as I will never give up. And with the great support here, I can never fail! Hi Judy, although I have been in marketing jobs all my life, I have yet to master the specific internet marketing aspects, which are many. No trouble there, as I am eager to keep on learning on a day-to-day basis as long as I possibly can. 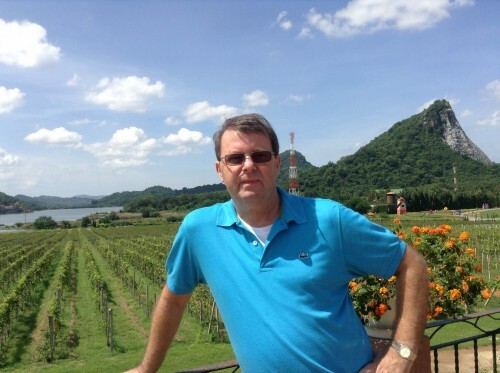 I had been working for a Dutch company, then Dutch-French, then British, Italian, Australian and lastly a Thai company, always in international sales/marketing/contracts, so I did some travelling in my time. I have made a very conscientious decision to emigrate to Thailand and what attracted me most was the freedom (of course within the law) I can enjoy here. Almost every day brings new challenges and contrary to my protected life in The Netherlands, I feel very much alive here. For the past 13 years I took my wife and two boys to see my family on a regular basis, but as my parents passed away recently, I will get my family to other places instead. Thanks for your nice words on my website and maybe I can be of help to you making your site a success. You just have to ask! Best wishes Jerry. I value your expertise. thank you for the connection. I wish you all the best. You will do fine with some hard work and dedication! Thanks for the follow. Good luck with everything. Nice to meet you, thanks for the Follow! Thanks Michelle, just follow the training, take the actions and ask questions when problems arise. Thank you. The same from my side. Hey, Jerry, thanks for following me back. I hope all is going well. Thanks Phillip, yes I have made a lot of progress in the last 20 months here at WA. Thanks very much Rosa. I have been here for one and a half years and am beginning to see real success! Loooooove wine, will visit your site for sure!!! So happy to be part of such an awesome network of interesting people!! I am starting to get real success. You are very welcome to visit my site and if I can help you choose some wine, just let me know. Hi, Jerry. Thank you for connecting back. I hope you're enjoying your time here at WA, the same as I do. Wish you every success in your online business ventures. Hi Adel, thanks for your message. Yes, I do enjoy the WA community a lot. I think it is the best and I am sure I will be successful here. Hi Jerry, I'm so happy to be a part of your network. You're welcome Leslie. WA is a unique platform to support you building your own internet business. The one big rule is: never get stuck! Just ask and somebody will be there to help you out. Hello Jerry, Am following you and hope you reciprocate! My best to you in all your endeavors!! Where abouts are you in Thailand? Yes I did Bernie. Nice to meet you too. I live in the quiet town of Banchang, close to the sea in between Sattahip and Maptaphut and next to Utapao airport. hi I cudnt find your last reply ? I can't find it anymore. I thought you asked two related questions, of which I answered one. Sorry, maybe you ask me the question again. Thanks Michelle, best wishes for 2016. This is a great community. I am following you! Thank you Jerry, in that case I better think of something intelligent to say hahahaha! Hahahaha it's a deal! I feel clever already! Jerry you have a very informative website and congrats on being picked by Jay. Great job. Marty, thanks for your interest in my website. I guess I was lucky to get a place in the Hot Seat. The report is still to come, but I saw that the information will be amazing and very helpful. Yes it will. Your site looked clean to me but Jay is the expert. I hope I can make it but we have everyone coming for Christmas and there may be activities to attend. Your site has been selected for the next Hot Seat on Dec. 11th. Thanks very much Jay. Is there any information you need me to give you? Nope. I have everything that you submitted and that is all I need. The live event is this Friday at 5pm pacific. I have reserved a spot already. Here in Thailand that will be Saturday morning 7 o'clock. Till then. Hi Jerry. Enjoyed reading your profile. Hi Steph, thanks for the interest. You are welcome Jerry. Thank you for following me. I am following you in return. Sorry for the delayed response. It has been busy with the holidays and trying to keep up with writing articles and WA stuff. HI Jerry, thank's for the follow..I'll see you around! Yes you probably will, as I am on this every day! Thanks Yuko, I am following back. have you made any money after all? is'nt that what we are here for? I have not and yes that is why we are here. Starting up a business will take time and we have been told so from the beginning. That being said, I would rather start earning today than tomorrow! Hi Brian, Nice start, although it is not immediately clear what you would like to bring across. You should think carefully about what exactly is your niche and the audience you are going to address. Thanks Jerry! All the very best to you! You are welcome and let's make this work! Hi Jerry, thanks for the follow. It is much appreciated. Wish you all the best with WA. Thanks, do not be afraid to ask questions, the support is great here! can I take a look at your site? I like your website style, although it seems to be in its first stages. Yes, I can provide you with an article of my site on the condition there will be a link on your site to mine and my name as the source is mentioned..
i would not ask for anything less. very good, so why do you not reciprocate and publish an article on my site under your name and with a link to your site? awww! very sweet of you. :) Let me know what topic you would like me to handle. Hi Jerry thank you for adding me to your network. I have been to many of the Asian countries as you have. I lived in Hong Kong for five years and moved back to the states. I hope WA is helping you with the online marketing. I wish you all the best and success. Thank you Linda, the community here is a tremendous help in getting an internet business off the ground. As you can see on this page I already am the owner of two websites. Hey Jerry, appreciate you and your warm welcome! Excited to be apart of such an awesome community with great people, such as yourself. Thanks Christina. Just shoot away with your questions and you will experience how fast and helpful this platform is. Thanks Kimberley, yes my websites are growing week by week! The power of this community is what we need! Hi Jerry, Saw your "SiamJerry" nickname while on the offer comments page. Had to check it out your profile. I too am living in Thailand. I've been here for 2 years now and absolutely love it. I'm currently teaching English and hoping to have more life options. I love teaching but I hate relying on the income. Best of luck to you! Thank you for following me. I wish you all the best and I hope you will reach your goals a.s.a.p..
Georg, I see you are making some good progress through the Affiliate Bootcamp. Just wanted to pop by and see if you need a hand with anything? Anyways, just checking in. Get back at me if you need anything Georg. Thanks Kyle, your support is the best! Hi, thanks for following me. Best wishes here at WA. Thanks, Jerry. I visited the Netherlands a few times when I was on active duty years ago. I love it there, and I want to go back someday. Too bad that Amazon feels that way even about wine. I'm glad you found alternatives. I didn't have time to thoroughly view everything on your website so I missed your affiliate links. Hi, you have an interesting profile. We hope you achieve all your goals here at WA. Thanks for the follow, and best wishes to you. Thanks and do not get stuck whilst training, just ask! Hi Jerry, interesting intro! Thanks for sharing and for adding me to your WA network, much appreciated. Seems you're doing very well here, so keep on track and let's stay in touch. Allerbeste groet, Desmond. We are here to help! Hello Gerog, thanks for stopping by, I appreciate the connection. It’s nice to know you’re a part of the WA family welcome. You are going to love building your own business here at WA. Be sure to follow the training and implement the steps and you will surely meet with your success. Hit me up if you ever need assistance with anything, I'm here to help and I love to connect. I look forward to your success. Nui. Just came across your profile. Like to add you to my network, thanks! Thanks for the interest and nice to meet someone from Switzerland. I am now following you. I really like to meet and share ideas with the members. It's always a pleasure to see what kind of people are getting into WA. PS: Let me know if you need any assistance along the way. Just click on the "Reply" button and ask away. Thanks Ken. I am sure I will have some questions moving forward, as I am not yet where I want to be. Absolutely! I noticed the cold at your place, here in Thailand I ask directions to beaches all year around! Thank you very much. I intend to make this a success, supported by this community. Thank you for the follow appreciated wishing you every success. Thanks Andre, I have not forgotten that you were one of the first to welcome me to WA. As my contract of employment ended last year, I am now going full-time ahead. No Probs glad to have you with the rest of the family here at WA. Wishing you great success. Thanks to you all and for the moral support. For the coming two months I will have limited time, however, I will continue following the lessons and get to level 4 as soon as possible. Welcome to the WA community family of online marketers. You should find this a most worthwhile pursuit Your success basically depends on you. The amount of time your schedule allows you to work on your website. The tools here are fantastic! Use them to your advantage. When I first joined 5-years ago, these tools did not exist. When working on your site, focus on the job at hand and try not to have any interruptions. Patience will be a virtue at WA. If you should get stuck, you have WA Forum to help you out. I want to wish you all the best and your success in becoming a successful online marketer. Hey George and welcome to WA as a premium member. Good luck on your journey. What's up Georg? I hope you are loving your experience here with WA and just wanted to pop by and see how things are going thus far. Thanks Vitaliy. I have meanwhile completed lessons 1-4, so I have a niche and a website. I was currently looking at affiliates for my niche and found some. I am also gathering more relevant info on wines, before going to lesson 5 and filling contents on the website. Awesome progress Georg! I would focus more on gathering the info for wines and preparing content to put up on the site. As for affiliate stuff, I would focus on that once you start to get some consistent visitors coming to the site. Just a personal though. Ok, thanks. I just thought that part of my web contents should come from an affiliate? You are going to be the affiliate unless you produce the product yourself Georg. Your content is going to focus on various topics within the niche such as how to make the wine, strategies for keeping it in better environments, those types of things. You can then link that content to a page where you promote some sort of affiliate program/product/service even if it's your own.